Gov. 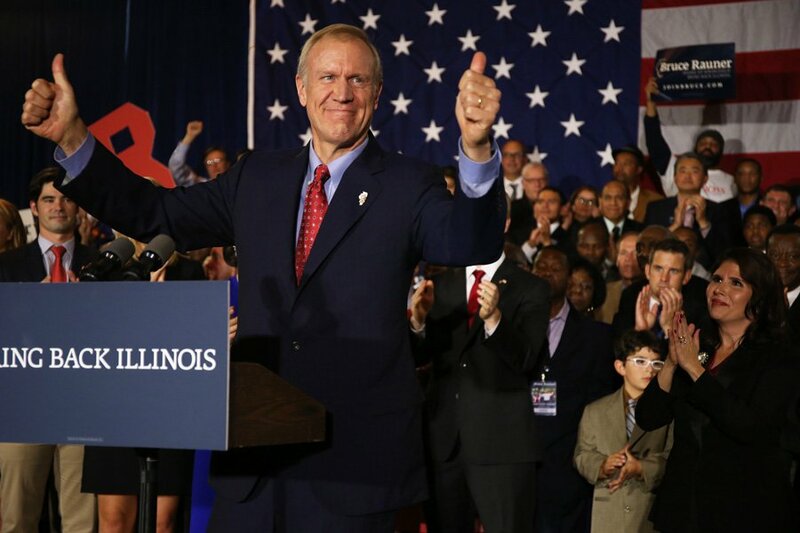 Bruce Rauner declares victory on election night in 2014. Rauner declared his support for Puerto Rico on Monday, saying he is ready to deploy 550 Illinois National Guard troops upon request. Gov. Bruce Rauner said in a Monday news release that the state is ready to deploy 550 Illinois National Guard troops to Puerto Rico to assist with Hurricane Maria recovery efforts. The Illinois National Guard has already responded to requests for assistance that have come through appropriate federal channels, according to the release. The guard is delivering “vital relief material” to the U.S. Virgin Islands and is assisting with strategic communications. Hurricane Maria, which touched down in Puerto Rico nearly two weeks ago, destroyed a large portion of the island’s infrastructure. Though the official death toll — last updated Wednesday by the Puerto Rican government — stands at 16, many believe the actual number is higher. Rauner’s administration has contacted the Federal Emergency Management Association and asked how it can be “of more assistance,” the release said. As it stands, Rauner has the authority to activate the Illinois National Guard within state borders, but cannot send it to other states and territories without an official request, the governor said. In a Monday letter to Puerto Rico Gov. Ricardo Rosselló, Rauner said the state’s emergency management team has been “working closely” with Puerto Rican humanitarian groups to coordinate its response, adding that more resources are available if requested.